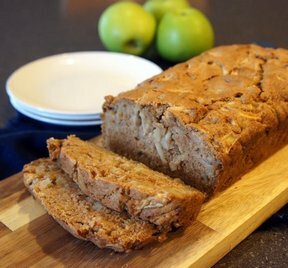 Chunks of apple makes this apple bread moist and the cinnamon and cloves warm it right up. 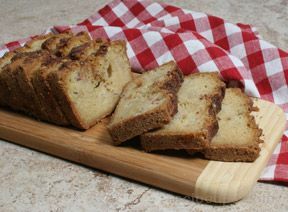 Perfect for a coffee party or for a snack for the kids. Cream butter and sugar in large bowl until light and fluffy. Combine flour, soda, cinnamon, cloves and salt in a bowl. Let set for 10 minutes before removing from pan. Cool on a wire rack. 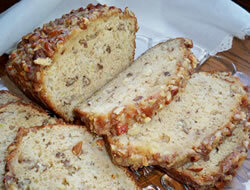 "Great quick bread recipe. 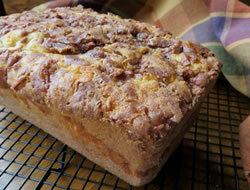 I baked this up for breakfast. I thought it was even better the next day."